Even though St. Patrick’s day has passed us, it does not mean you can not buy a pair of the day of the Irish inspired sneakers. Somehow, this Nike Free 5.0 for women got past us, but this is a St. Patrick’s day Nike Free. Markings at the heel are clovers with a Grey background and by the toe box is one big four leaf clover. 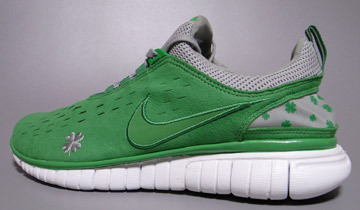 No matter what day of the year is, the Nike Free 5.0 St. Patty’s day is a great shoe to wear. Via Altsnk. 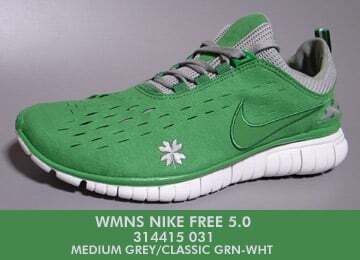 where can i buy the nike free 5.0 womens st patrick's day shoe??????????? these are freakin AMAZING!! 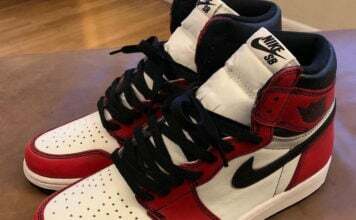 i have to have them… is there an english speaking site that has them? ?